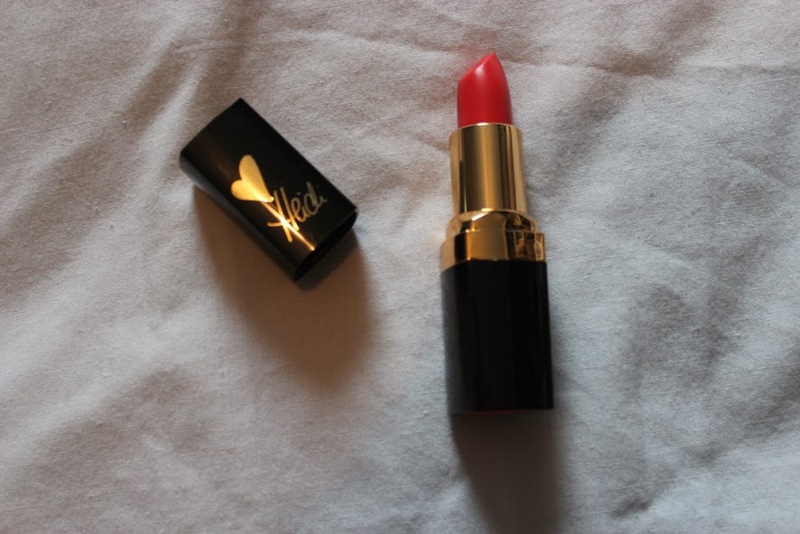 Today I want to show you two gorgeous lipsticks from ASTOR Cosmetics! 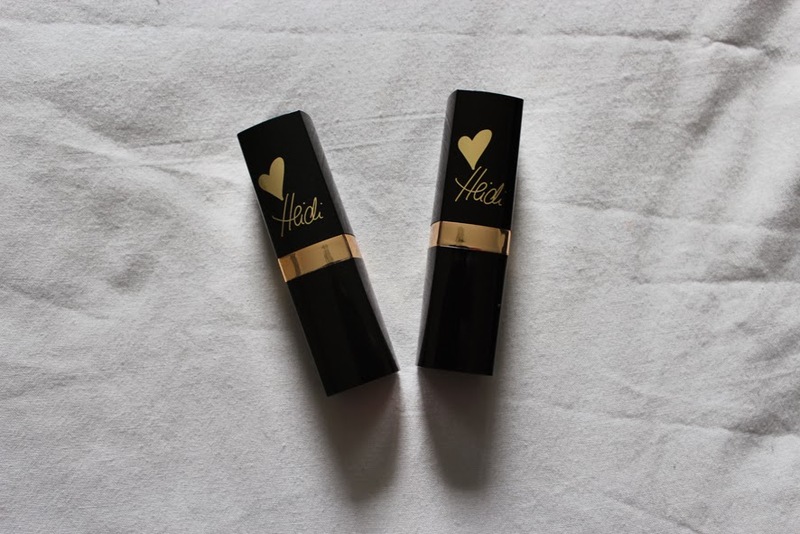 I was reading Denise's blog post about her drugstore haul and that's where I came across the "Heidi Color Last VIP Collection" lipsticks. I searched for the whole range online and fell in love with the colours! left: "003 cheeky" right: "007 bubbly"
My first thought when I opened the lipsticks was "oh god they look really pigmented and a way too bright"! 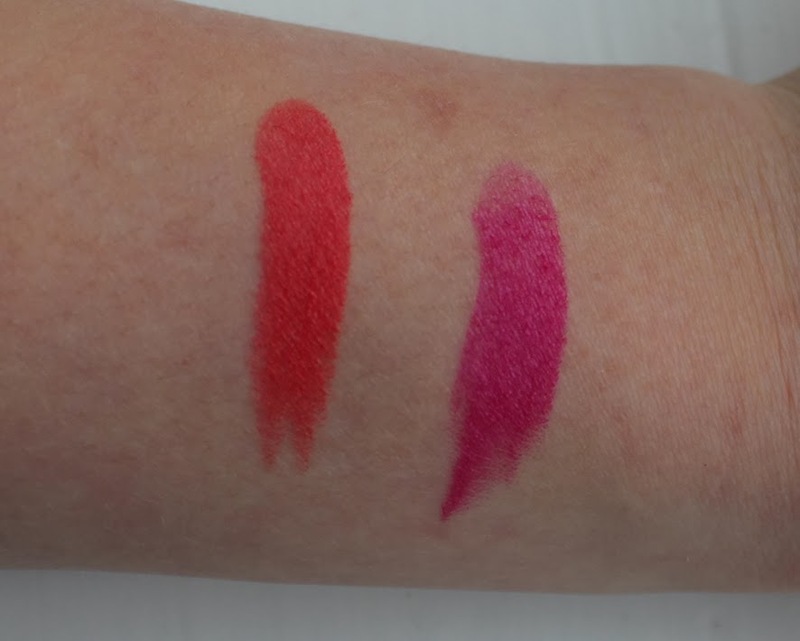 But after I swatched them on my arm I was relieved - they look much nicer and not too bright on my skin and lips! As you can see "003 cheeky" is a cute orange-red colour and as I said not too bright! I really like the glossy-looking finish this lipstick has. 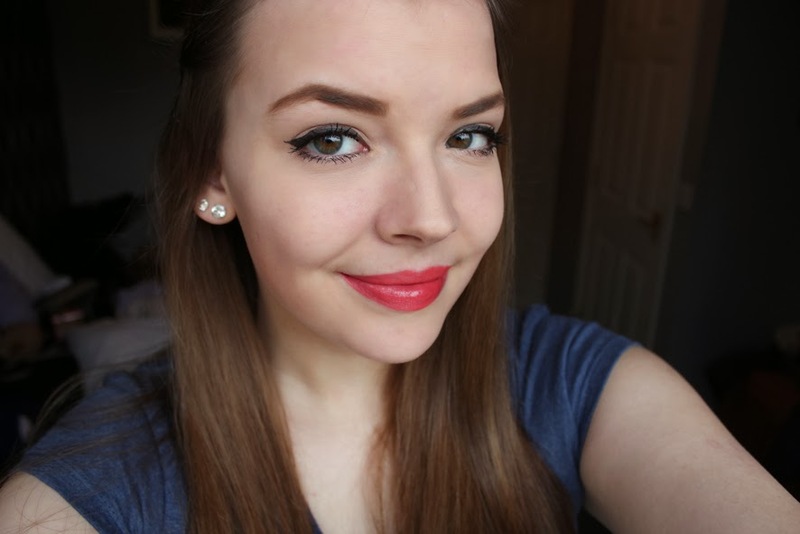 It will probably become my go-to lipstick this spring! 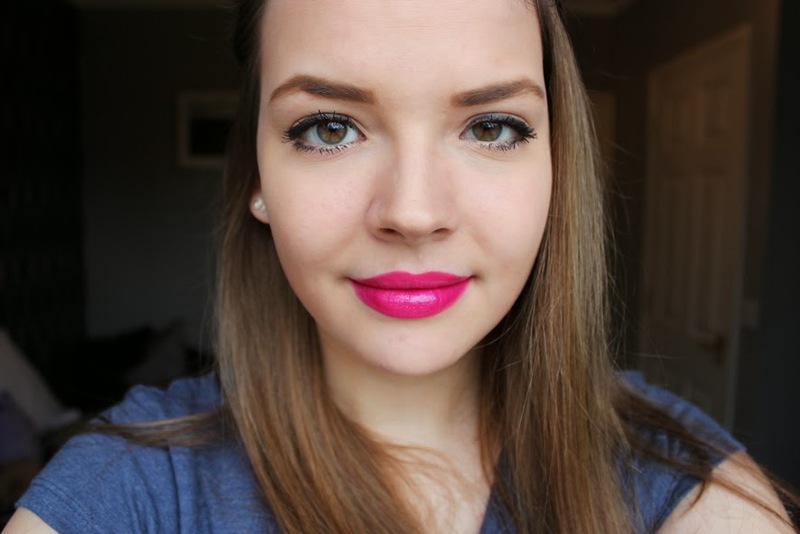 "007 bubbly" is a bright pink berry colour and also has a glossy-looking finish. It's a pop of colour that's perfect for a night out! Or maybe to brighten up a bad weather day! And for the price of €4,99 I think these lipsticks are very good quality. The only thing I don't like too much is the way they smell/taste - a bit too cosmetic for my taste. Have you ever tried any Astor Cosmetics products? If so what's your favourite? 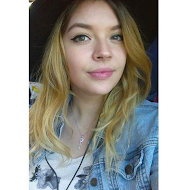 I'll have a look at your post right now!